Large-scale industrial agriculture remains the most touted solution to global hunger in development discourse. However, an increasing number of reports and research, endorse agro-ecological approaches that prioritize smallholder crop production to successfully meet the challenges of climate change and hunger. The current development landscape is dominated by Green Revolution ideals—improved or genetically modified seeds used in capital-intensive large-scale agriculture schemes with a prominent role for pesticides and fertilizers. Rather than contributing to food security and sovereignty, these efforts lead to large tracts of monoculture that prioritize export crops, require increased mechanization, and depend on multinationals for chemicals and seeds. Agro-ecology provides another path. It encompasses a wide-variety of practices, which are coherent with key principles of environment preservation, social fairness, and economic viability. Agroecology combines parameters of sound ecological management, like minimizing the use of toxics by using on-farm renewable resources and privileging endogenous solutions to manage pests and disease, with an approach that upholds and secures farmers' livelihoods. Agro-ecological systems like the Rice Intensification implemented along the Niger River in Mali, can double small farmers’ agricultural output. 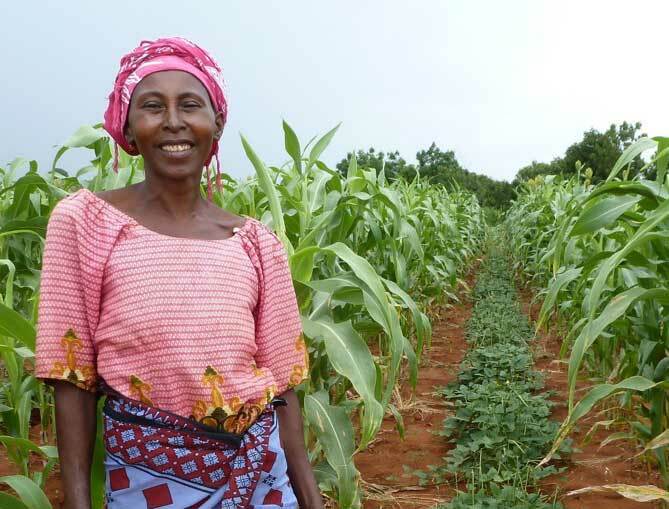 Supporting smallholder farmers, who already produce over 80 percent of the food consumed in many developing regions, is the quickest way to lift over one billion people out of poverty. Adhering to a high investigative standard with consideration of local impact and international trends, The Oakland Institute documents and advocates for agro-ecological farming methods that empower local producers. The Institute’s thirty-three case studies released in 2015 shed light on the tremendous success of agroecological agriculture across the African continent. They demonstrate with facts and figures how an agricultural transformation respectful of the farmers and their environment can yield immense economic, social, and food security benefits while also fighting climate change and restoring soils and the environment. Caanan Palestine helps Palestinian farmers to grow organic crops and get fair trade certification. Improved market access and increased returns on their crops makes it possible for thousands of Palestinian farmers and their families to earn a better living. The project gives hope for the future of food producers living and working under Israeli occupation. This report issues a direct challenge to Western-led plans for a genetically engineered revolution in African agriculture, particularly the recent misguided philanthropic efforts of the Gates Foundation's Alliance for a New Green Revolution in Africa (AGRA), and presents African resistance and solutions rooted in first-hand knowledge of what Africans need. Climate change threatens the livelihoods and food security of billions of the planet’s poor and vulnerable, as it poses a serious threat to agricultural production. At the same time as they pose a huge climate threat, industrial agricultural systems are highly vulnerable to climate change. Global Food Crisis: Briefing Paper--Is Ecological Agriculture Productive? A key question that is often asked about ecological agriculture, including organic agriculture, is whether it can be productive enough to meet the world’s food needs. While many agree that ecological agriculture is desirable from an environmental and social point of view, there remain fears that ecological and organic agriculture produce low yields. The challenges facing agriculture today are immense. Of immediate concern is the global increase in food prices, starkly brought home by reports of food riots and food shortages in many countries around the world. During the first three months of 2008, international nominal prices of all major food commodities reached their highest levels in nearly 50 years while prices in real terms were the highest in nearly 30 years (FAO, 2008). An independent and multi-stakeholder international assessment of agriculture has concluded that a radical change is needed in agriculture policy and practice, in order to address hunger and poverty, social inequities and environmental sustainability questions. 7 Western-based multinationals control over 70% of global industrial seed sales. 79%—average crop yield increases based on a review conducted by the FAO in 57 low-income countries when factoring efficient use of water, reduced use of pesticides, and improvements in soil health. Sustainable agriculture improves food supply, nutrition, and livelihoods in LDCs based on research by the UN and numerous other bodies. Increased yields by 116% with a shift toward organic agriculture production i based on a UNEP-UNCTAD analysis of 114 cases in Africathat. $192 million—estimated annual value gained from ecosystem services if half of the arable area under conventional farming is shifted to organic. Thirty-three case studies that shed light on the tremendous success of agroecological agriculture across the African continent.